Here is the sample ballot that will be used during the elections on Saturday, May 3rd at 1PM at the Philadelphia temple. Please make sure to look this ballot over before arriving to vote. The real ballots will be numbered and recorded when handed out at the election. 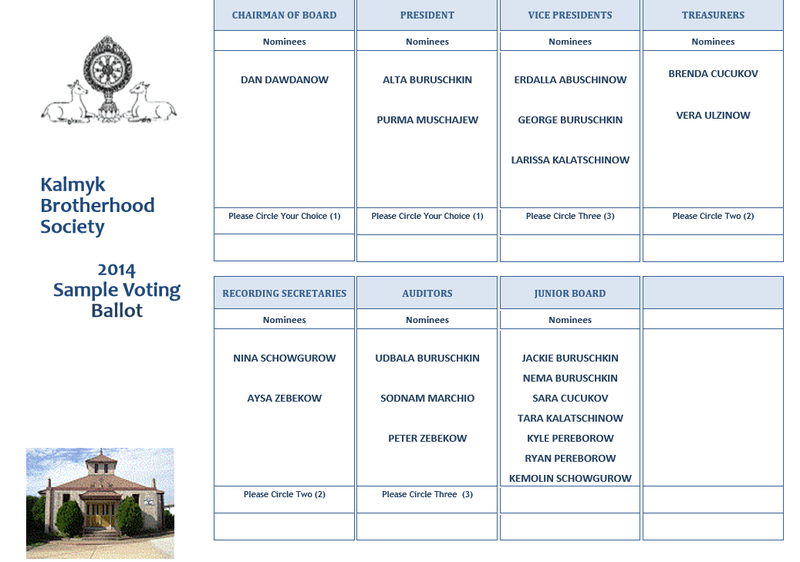 By Kalmyk Brotherhood Society in News on April 8, 2014 .